End of Maryland Primary Day, More Blogging! Well, primary day ended yesterday in Maryland, and a lot of exciting and interesting races came to a finish. I myself was managing the Prince Georges County Council District 1 campaign of Mary Lehman, and she was victorious yesterday night, taking 41% of the vote in a 5-way race. All around there were some races that ended the way I wanted them to and others that disappointed. I was surprised to see very low turnout by the Democrats, poll workers at most locations in District 1 told me that things were very slow for most of the day. A couple seasoned politicians I talked to at polling locations exclaimed they hadn’t seen such low turnout at polls in quite awhile. This concerns me as it doesn’t bode well for the Democrats in November for the Governor’s race in Maryland. I hope turnout has been better in other areas of the country, but based off what I’ve read it has not. The other thing I’ll address is that since I’ve been so consumed by the elections, I have blogged less consistently and done more re-posts than usual as opposed to original posts. Although I’ll be catching my breath this week from the campaigning, I expect to pick up the pace of my writing next week and write about some important environmental issues facing us in the elections nationwide as well as Maryland with the November elections right around the corner. A very good study on the potential of offshore wind for the state of Maryland. This was in the Baltimore Sun by Timothy Wheeler last month. Excerpts below. Offshore wind energy can furnish Marylanders with as much as two-thirds of the electricity they currently use, and if aggressively developed, could turn the state into a net exporter of power, a new report by the Abell Foundation says. About 2,900 wind turbines could be placed using current technology in relatively shallow Atlantic waters 28 miles to 43 miles off the Maryland coast, according to the report, which was written by researchers at the University of Delaware’s Center for Carbon-free Power Integration. As many as 12,000 turbines ultimately could be deployed, the researchers say, as new wind generators are developed that can operate in deeper ocean waters, including on floating platforms. The Abell report acknowledges that the number of turbines that could be potentially installed might need to be pared back by as much as a third to leave lanes for ships entering or exiting Delaware Bay and traversing the coast. The Delaware researchers also suggest keeping the turbines at least nine miles off the coast to limit their visibility from the resort hotels and boardwalk of Ocean City and from the beach at Assateague National Seashore. Bluewater Wind, a New Jersey firm, has proposed putting turbines at least 12 miles off the Delaware and Maryland coasts. “If Maryland is really going to use that resource, you would need to build some kind of transmission,” said Willett Kempton, a Delaware professor and director of its carbon-free energy center. But major upgrades in the grid would not be needed to handle modest amounts of offshore wind to start, he noted. Of course, it’s sponsored by all Republicans, and Republican legislators really don’t have much to do in our General Assembly since there are so few of them. Maryland passed one of the strongest bills in the country addressing greenhouse gas emissions last year. Still, this resolution provides ample reason for why Democrats should keep their large margins in the House, Senate, and Governorship in 2010. I’m not sure if the Republicans in office in Maryland know how to govern, they’re too busy writing meaningless resolutions that aren’t going to see the light of day, let alone the floor. One of the co-sponsors of this legislation, Delegate Ron George (R-30) is rightfully being attacked by a challenger Judd Legum over the issue. Here is an excerpt from his petition against this. “A few days ago, Delegate Ron George co-sponsored a resolution in Maryland’s General Assembly stating that climate change is a “conspiracy” and urging the Environmental Protection Agency to “immediately halt” all efforts to reduce carbon dioxide emissions. In a time of economic challenge, Maryland can’t afford to allow the Chesapeake Bay to continue to degrade. The Bay is Maryland’s most valuable economic resource: driving commerce, buttressing property values and attracting tourists. We need to dispense with far-right ideology and focus on our shared goals in Maryland. See Planet Forward and Wonk Room for more on these resolutions. I have an op-ed column out today that attacks the threat of a nuclear power plant in Maryland by looking at recent fruitless attempts to build plants, and the cost born by ratepayers. A common perception of nuclear power is that it’s an affordable, carbon-free energy source that could meet a lot of America’s demand for electricity, if only those darn environmentalists would get out of the way. Unfortunately for nuclear power advocates and Maryland ratepayers, this statement crumbles upon contact with reality. The average cost of electricity for all of Maryland’s sectors is 13.45 cents per kilowatt-hour. There’s a growing possibility some of us will have the pleasure of paying double that thanks to the pending merger between Constellation Energy and French electric giant EDF Energy, which is supposed to pave the way for construction of a new nuclear power plant at Calvert Cliffs. Doubling rates is fairly easy to predict with a trip down memory lane. Ontario was slated to build a new nuclear plant until this summer, when a 2007 estimated price tag of $7 billion turned into $26 billion, which would’ve wiped out their 20-year budget. Turkey became a “turkey” when the only bidder for their new nuclear power plant offered a price for ratepayers of 21.16 cents a kilowatt-hour. Turkey’s wholesale energy prices average 7.9 cents a kilowatt-hour. The new bid for France’s plant also soared past expectations, settling at a cool $23.6 billion. Finland’s new nuclear power plant has seen four years of delay and cost overruns from 3 billion euros up 50 percent to 4.5 billion euros. That nicely works out to $6.74 billion in U.S. dollars and climbing. It’s happening here too. Progress Energy revealed in 2008 to Florida that its tab for twin nuclear reactors would actually be $17 billion dollars, tripling the estimates the utility offered the year prior. This was before they delayed construction by 20 months and got the Florida Public Service Commission to hike ratepayers’ electric bills by 25 percent to cover the costs. This was also before San Antonio discovered in October their two newly proposed nuclear reactors would cost as much as $17 billion instead of $13 billion, causing at least a delay, likely to be followed by a rate increase to cover costs. And all this was before the Maryland Public Service Commission approved the Constellation and EDF deal so we could have a new $9 billion (initial cost estimate) Calvert Cliffs reactor. It’s hard to hide from history when it lives so close. In case you were wondering, ratepayers tend to foot the bulk of the cost overruns and delays you get with a new generation nuclear power plant, even if it never gets built. If it’s any consolation, Gov. Martin O’Malley got $100 checks sent to all BGE customers as part of the merger. The reason we get all of these delays and cost overruns is because the nuclear power industry fudges the numbers to justify new plant construction. One of the most detailed and transparent studies by a certified public accountant named Craig Severance found that electricity from new nuclear reactors will cost in the range of 25 to 30 cents a kilowatt-hour, largely thanks to the construction delays and cost overruns that I illustrated above. If I were a state ratepayer, I would hold on really tight to that $100 check that’s supposed to buy my vote in 2010. You’re gonna need it unless someone in Annapolis finds their common sense. I’ve asserted that I have some problems with Maryland Governor Martin O’Malley. Many of his growth policies are killing the Chesapeake Bay, the ICC highway he didn’t stop is going to contribute a lot of greenhouse gases, and he’s raided very dollars he talks about in his op-ed that were supposed to go to energy efficiency, but went to rate relief. All that said, I’m one to give credit were credit is due, and Governor O’Malley had a very good column out a couple dayhe s ago about how cap and trade can work at the Federal level because it’s working in the Regional Greenhouse Gas Initiatve(RGGI), which Maryland is a part of. I’m posting the column below. 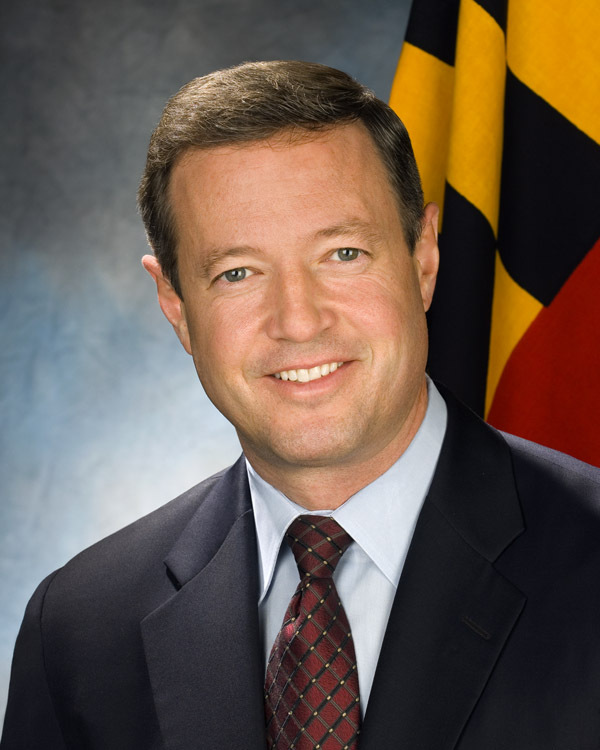 Martin O‘Malley is governor of the state of Maryland. As the debate over energy independence, climate change, and “green jobs” heats up this summer, Congress and the American public should take note one of the most significant accomplishments related to climate change to date and some of the lessons we’ve learned. In September 2008, 10 northeastern states, including Maryland, launched the United States’s first greenhouse gas “cap and trade system”—and it is working. The result? Energy conservation and development of alternative energy is being funded at historically high levels—a commitment by this country that is long overdue. These include projects to weatherize low-income homes, hire and train energy auditors, deploy combined heat and power and district heating and cooling systems, subsidize energy efficiency improvement programs for small businesses, and educate contractors about energy efficiency and other initiatives. Green jobs are clearly a key part of our future: The Pew Charitable Trust reported in June that the number of jobs in America’s emerging clean energy economy grew nearly two and a half times faster than overall jobs between 1998 and 2007. In Maryland, we have set a goal of creating at least 100,000 green jobs by 2015. The No. 1 goal of this voluntary effort between Connecticut, Delaware, Maine, Maryland, Massachusetts, New Hampshire, New Jersey, New York, Rhode Island, and Vermont has always been to show that a market based cap and trade system can work. How do we know its working? Utilities that need allowances have robustly bid in the four auctions of allowances to date. A healthy secondary market for allowances has emerged. This all points to the markets’ recognition that this is a viable program with a foregone conclusion—America must reduce its carbon emissions. To date, $366.5 million in RGGI proceeds—earned in less than one year—have been generated for clean energy, energy conservation, and rate relief. There are some key differences between this program and what’s being proposed in Washington. The regional initiative regulates electricity generated by fossil fuels, where federal legislation covers other sectors as well. And the regional program is entirely a market-based system, with auctions of over 90 percent of allowances; proposed federal legislation will auction 15 percent of allowances. While we work on these important features of federal climate and energy policy, let’s keep what is most important at the fore. As the U.S. Senate looks to build on work already done in the House of Representatives to secure national energy independence, create a sustainable energy future, reduce the threat of climate change, and create net benefits for electricity consumers, let’s look hard at what’s already working. The states in the Northeast have proven it can be done. In these times of great challenges, we have to be willing to embrace the new economy—and to act now for that more sustainable future all of us prefer. Let’s also learn from our experience. Cap and trade is a proven, efficient, market-based approach to solving one of the greatest environmental challenges of our time. The League of Conservation Voters is kind enough to put out environmental scorecards for our national legislators and our legislators in every state government. The scorecard for my state of Maryland just came out. Basically legislators get up or down marks for each piece of legislation they vote on in committee or on the floor. They are then given a percentage score based on how many times they voted the right way out of the total number of opportunities to vote. I already listed the report of all environmental legislation this past session, and how it fared. If you live in Maryland I’d encourage you to check out how your representatives voted. If you live elsewhere, just look up the league of conservation voters scorecard for your state. The only part of this scorecard I would like to draw attention to is my representatives from District 21. Delegates Barbara Frush, Ben Barnes, and Joseline Pena-Melnyk, along with State Senator Jim Rosapepe all got 100% scores. My congratulations and thanks to them. Although these scorecards can’t measure everything since some bills never come to a vote because of behind the scenes maneuvering and lack of effort, it’s always a good sign when there are 100% scores across the board for your district. Program Open Space has long been a top priority for the Governor and the environmental community. After the Senate proposed drastic cuts to the program, the Governor, buoyed by a strong last-minute grassroots outpouring of support, lobbied hard to keep the funding. As a result, most of the funds were converted into bonds with approximately $5-7 million of future real estate transfer revenue needed to service them. Ultimately, this is a good result for the Governor, the environmental community, and land preservation efforts. Failed septic systems cause about 7% of the nutrient pollution in the Bay and 20-30% in parts of the Critical Areas, a contributing cause to dead zones. SB 554/ HB 176 requires that nitrogen removing technology be installed on new septic systems within the Critical Areas. Maryland, by approving this measure with the narrowest of margins (24-23) in the Senate, will now be a national leader in this endeavor. The Chesapeake Bay Trust Fund will be used to help finance these important upgrades. The House of Delegates overwhelmingly passed two bills on toxics. The first banned the use of DECA, a toxic flame retardant found in the plastic casings of televisions; the other banned BPA, a toxic chemical found in baby bottles. Unfortunately, both bills died in their respective Senate committees. This bill is a huge win for the environment. This critical bill cements Maryland’s role as a national leader and will produce tangible benefits for our state – creating new industries in the emerging clean energy economy, reducing long-term costs to consumers and businesses through energy efficiency upgrades, and by creating the programs we need to reduce global warming pollution. HB 315/ SB 278 will reduce global warming pollution by 25% below 2006 levels by the year 2020. To pass this bill, Maryland LCV and others from the environmental community spent the latter part of 2008 working with stakeholders from labor and industry to craft a solution that will save Maryland jobs and address global warming. Continue reading about our work on this bill here. The O’Malley Administration introduced several bills that addressed Smart Growth. Three of them, the reauthorization of the Historic Rehabilitation Tax Credit, the authorization of a special financing mechanism for Transit-Oriented Development, and the statutory fix to the adverse “Terrapin Run” court decision all passed and deserve praise. However, the Governor and the Senate missed an opportunity to truly strengthen our growth laws and to finally hold our officials accountable for poor growth decisions by failing to support strengthening amendments. If we are serious about these problems, we have to attach consequences to poorly planned development. Most Marylanders say they want stronger state oversight on growth issues, the Governor’s growth bills don’t get us there. Instead, they simply measure how bad the problem has become. We look forward to working with the Administration to craft a way to retain local control of planning decisions while ensuring that scarce state resources go where good growth should occur. Standing (HB 1569/SB 1065) Maryland is one of only a handful of states that severely restricts a citizens’ rights in court to challenge bad environmental decisions. HB 1569/ SB 1065 addresses this problem by granting citizens and nonprofit associations the right to proceed in court where flagrant violations of our basic environmental protections occur. This idea has for years percolated in and around the committee rooms in Annapolis, never coming even close to the Governor’s desk. This year, Maryland LCV chose to make this issue a priority and pushed for its passage. Like the global warming bill, this piece of legislation was carefully negotiated with a series of diverse stakeholders who arrived at a win-win solution that grants us our right to a day in court. The Budget The severe fiscal downturn has affected every sector of the economy and cast a pall on the legislative session in Annapolis. The Governor’s initial budget preserved a great deal of the funding for environmental programs with one notable exception – the diversion of $35 million in energy efficiency program funds from the Strategic Energy Investment Fund. But at the end of the day the environment remained a high priority and the cuts were less severe than they could have been. Program Open Space – some of the funds were converted to Revenue Bonds which if exercised could cost the program millions of dollars in principle and interest, into the foreseeable future. The Intercounty Connector is the most environmentally damaging and fiscally irresponsible transportation project in Maryland history. The Maryland LCV has repeatedly supported attempts to defund this $4 billion road. While we successfully raised the profile of the economic impact of this project, this year’s bill, HB 27, to defund this terrible project died in committee. Phosphorous Reduction: SB 553/ HB 609 requires labeling of fertilizer containing phosphorous and prohibits the sale of phosphorous fertilizer in 2010. Energy Efficient Buildings: SB 625 requires a strengthening of building codes to make them more energy efficient. Maryland Organic Farming Pilot Program: SB 516/HB 449 creates a pilot program using federal funds to encourage farmers to transition toward organic farming practices. State Recycling: HB 595 and SB 473/HB 1290 require that all public schools and state facilities recycle paper, aluminum, glass, and plastic. Stormwater Management Surcharge: SB 672/ HB 1457 would have required counties to assess their own fee to pay for retrofits. This bill died on the Senate floor. Mercury Switch Removal: HB 1263 compensates and trains automobile recyclers to remove and recycle the mercury switches from cars. Lead Paint: HB 1156 would have allowed Baltimore residents who suffered from the effects of lead poisoning to hold the manufacturers accountable. This bill died in the House Judiciary Committee. No Net Loss of Forests: SB 666/HB 1291 attempts to maintain the amount of forest cover in Maryland. Private Wastewater Treatment Act of 2009: SB 721/HB 1105 prohibits the installation of an individual sewage system for residential use. Green Jobs/ Welfare to Work: SB 992/ HB 268 creates a pathway for people on welfare to get a job in the emerging clean energy economy. Pesticides: SB 917/ HB 929 would have required reporting of some pesticides uses to MDA. This bill died in the House committee. Environmental Justice: SB 4, SB 47/HB 1057, HB 1078 requires industry provide notice to affected communities before receiving a permit. The notice bills passed but the companion bills, which would have required an MDE review before issuing a permit in certain blighted communities, died in the House and Senate committees. A few hours ago, Maryland’s Economic Matters Committee passed the Greenhouse Gas Reductions Act of 2009. This was the last major hurdle for the bill. It’s already passed out of the State Senate, and the Environmental Committee and House floor are considered very favorable to this legislation. The Governor supports the bill, so at this point I’m 99% certain the bill will pass. This bill sets a target for Maryland to cut its greenhouse gas emissions 25% below 2006 levels by 2020. The Maryland Climate Commissions came out with a portfolio of 42 policies and recommendations last year which the state can use to reduce 25-50% of its 2006 greenhouse emissions by 2020. These policies address land use, transportation, renewable energy, energy efficiency, agriculture, and environmental educations. None of them harm manufacturing. They are projected to generate billions for our state’s economy. Here is the press release from a state environmental organization below. Annapolis—A key committee in the Maryland House of Delegates today passed HB 315, the Greenhouse Gas Reduction Act. This committee killed the bill last year, but this year approved the measure. The Senate passed the bill on March 2, 2009 with a bipartisan majority of 36 votes to 9. The bill now heads to the House floor, which is normally considered favorable to environmental legislation. Gov. Martin O’Malley is a lead sponsor, so will certainly sign the bill. The bill requires the state to reduce its global warming pollution 25% below 2006 levels by the year 2020. To achieve those reductions, the bill directs the Maryland Department of the Environment to finalize regulations by 2012. The primary legislative sponsors are Sen. Paul Pinsky (Prince George’s) and Del. Kumar Barve (Montgomery). Laws passed in recent years, such as the Healthy Air Act, the Clean Cars Act, and the EmPower Maryland energy efficiency program, will achieve more than half of the reductions required by this bill. The remainder would be realized through measures such as increased transportation choices, recycling, and incentives for green buildings. The Maryland Commission on Climate Change has made 42 policy recommendations to reduce the state’s global warming pollution. Passage of a pollution reduction mandate in Maryland would boost efforts in Washington to pass federal global warming legislation. The state would join six other states with legislative commitments to reduce pollution – New Jersey, Connecticut, Massachusetts, California, Washington and Hawaii. The 25 percent reduction in Maryland is the largest commitment of any of those states. The bill has been hotly debated in Maryland for the past two years. In the 2007 legislative session, the bill was introduced but did not come to a vote. Last year, an amended version passed the Senate, but the bill was voted down in the House Economic Matters Committee. The bill is strongly supported by a coalition called the Alliance for Global Warming Solutions. The coalition includes environmental, faith, business and health organizations. **Update** It’s worth nothing the bill had no serious impediments the rest of the way, and was signed into law by the Governor.